"Up for sale is my Vintage 1969-70 Dan Armstrong “see through” guitar. 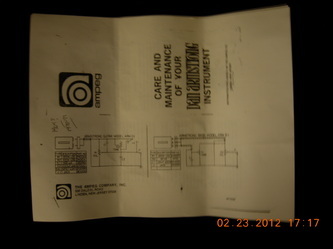 Its serial number is A2438D. 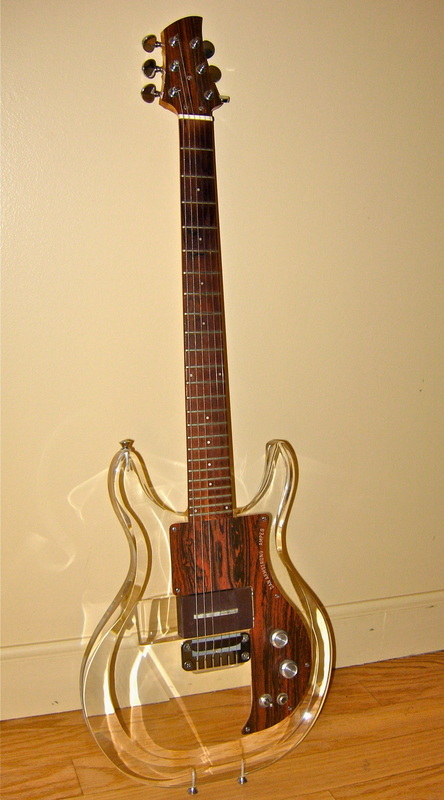 It comes with three vintage pickups---the installed RT Rock Treble, the CB Country Bass, and the Holy Grail of pickups, the extremely rare 12 post ST Sustain Treble." 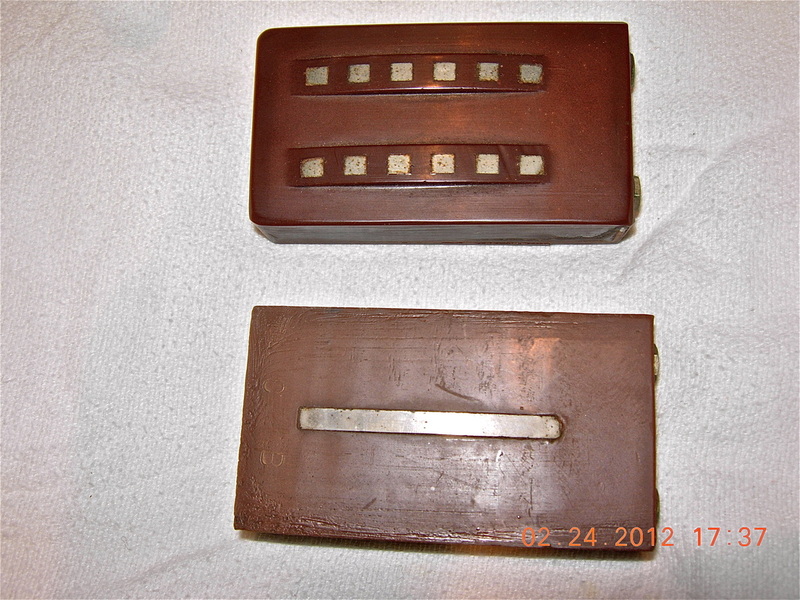 "In addition to all the interchangeable pickups, the package includes an additional bridge plate--what I believe to be an original sandblasted face model from about 1971. The bridge plate also comes with two bridges from about 1971, with a fret-wire added (by Ampeg/ DA) to increase sustain. Also included is the original, or perhaps a copy of the original, Owners Manual." "The case is the original case and it is also in incredible condition, especially given its age. The exterior of the case exhibits some very minor scuffing to the Tolex and some tarnishing to the latches (which all work properly). 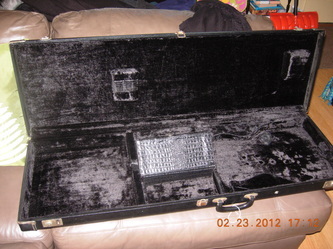 The interior of the case is virtually perfect, with all the felt intact, as well as the compartment cover. The only noticeable flaw is there is a piece of the latch missing to which the compartment hook would secure. There is absolutely no odor to the inside of the case." "I cannot stress enough the beautiful condition of this instrument. 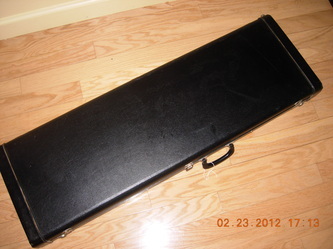 Although I am not much of a guitar player, when I first saw this instrument, I was overcome by a “Have-to-Have-It” moment, and it has looked great sitting on a stand next to my piano all during my ownership. 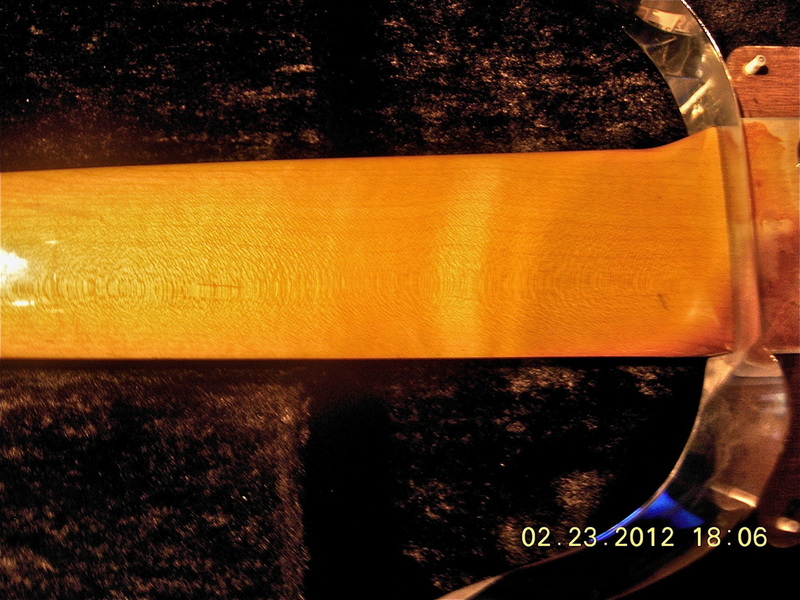 This guitar may have been played some during its forty-two years, but it is in totally collectible condition." "Please look at the photos closely, because they really do a pretty good job of showing the general condition---fabulous! 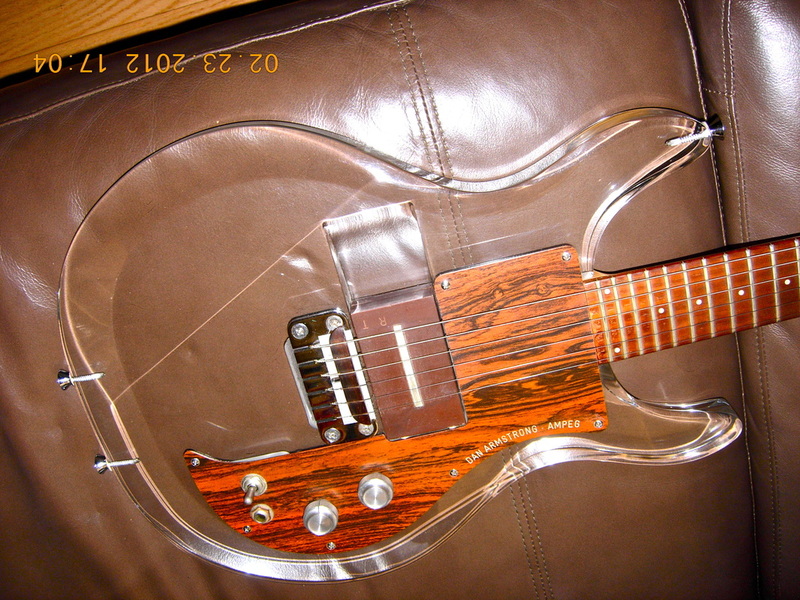 But the pictures cannot do this guitar full justice. I’ll do the best I can to describe what you are looking at in the photos." 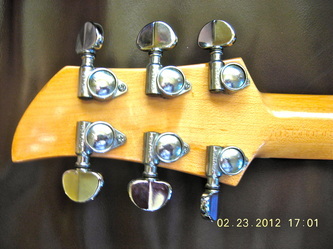 "Headstock and Neck---No chips or dings to headstock, and the only flaw I can find on the neck is a minute ding 1/16th of inch perhaps near where the neck meets the body (see that photo)." 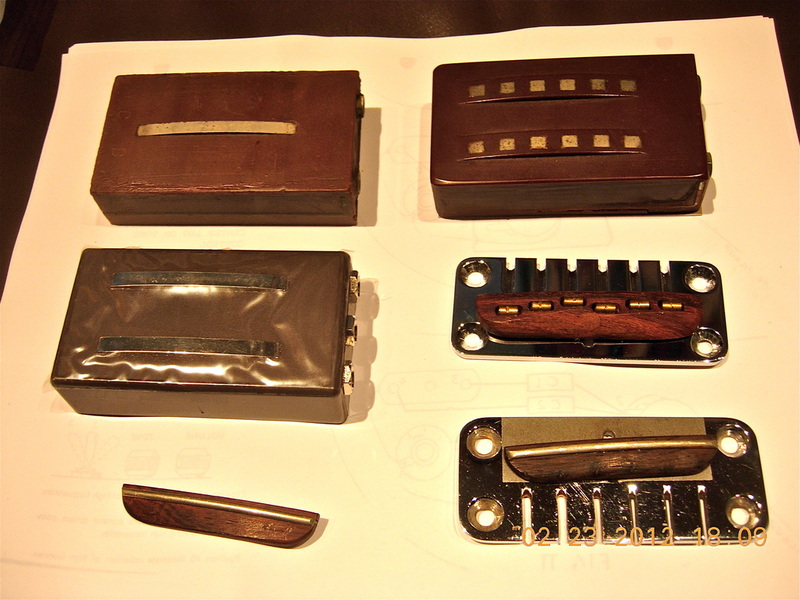 "Fretboard and Frets---Frets show very, very minimal wear at first and second frets. The fretboard itself looks just fine with no chips or the like." 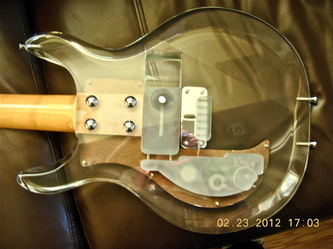 "The Acrylic Body--- looks mint to my eyes, no superficial scratches,, pick marks, buckle rash---nothing. If you can find something, it will be so minute that it can be polished out. It is virtually mint, but I hesitate to use the term “mint” term except for an item untouched by human hands, direct from the factory. Nobody has screwed with the strap holders either, as occasionally happens." 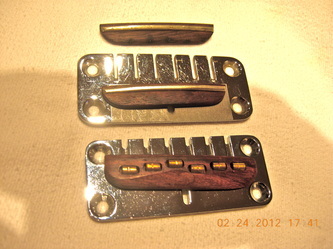 "The Pick Guard---is flawless, with no splits or cracks around the mounting screws or output jack. A look from the rear shows absolutely no discoloration to the back of the guard, along the edges of the laminate." "The Hardware---shines like new, especially the Grover tuners. 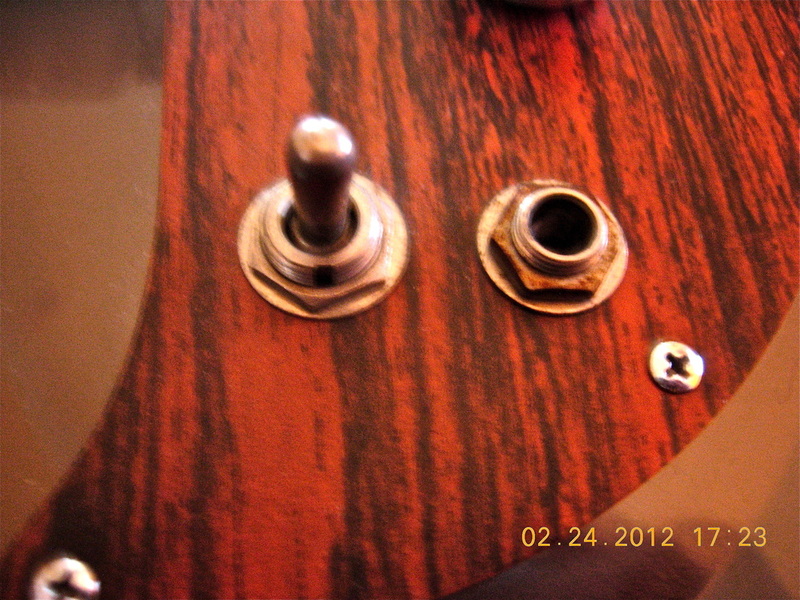 The pickup toggle and output jack have dulled somewhat from age, but I don’t believe that these items were ever “chromed” to begin with." "The Strings---look like they might need changing, but they hold pitch forever as is." "Also of note---I have a reissue bridge plate with the adjustable bridge, and a brand new (still in the wrapper) Kent Armstrong produced twin blade Modern Drive (?) pickup. Some players like the re-issue bridge, I'm told, because it allowed for more precise tuning. I will make these items available to the buyer for a very, very reasonable price since I will no longer have any need for them without the guitar. 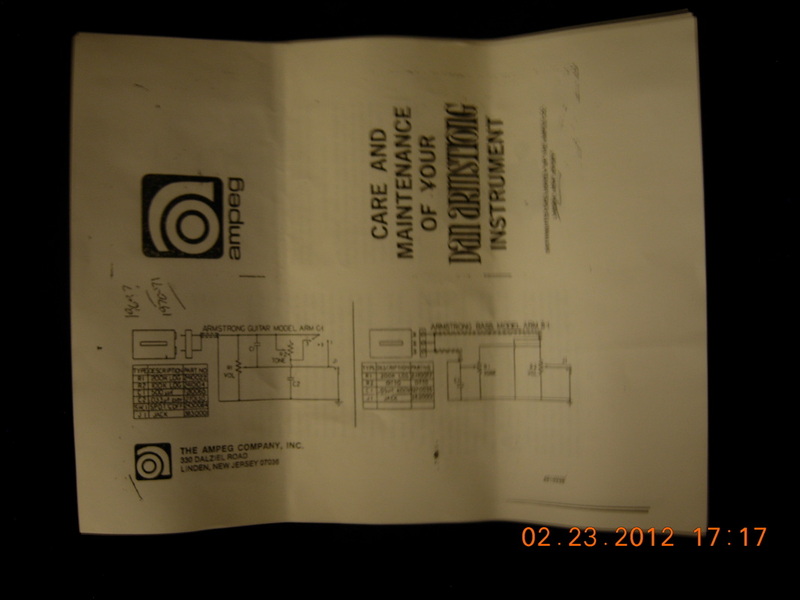 The buyer should simply inquire about these items at payment time." "As I said, this is a drop-dead gorgeous instrument. While there is absolutely no reason not to play this guitar, it is beautiful and deserving of a little loving care. I bought it with the intent to preserve it and I have done so. I’ve seen a few of these “parted out”, but this one deserves to remain intact for future owners." "This sale is open only to the continental United States (with apologies to Alaska and Hawaii) and it is definitely not open to international bidders, so please don't ask! Payment will be made using PayPal, with payment to take place within 24 hours of the end of the sale. 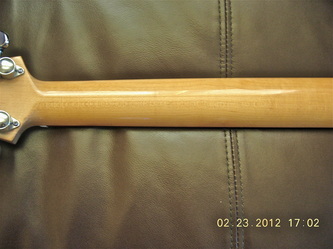 It is a vintage instrument, and, as such, is not subject to return. I have a perfect eBay rating, and have sold a number of “big ticket” items in recent years, to the total satisfaction of the buyers. Please feel free to buy with confidence. I’m not a business, just a guy selling off some of his stuff. The guitar will be professionally packaged for shipping, and shipping will take place one to two business days after PayPal gives me the go-ahead to ship. The shipping will be free to the buyer, and the guitar will be fully insured as well. Please feel free to ask any questions and I will I answer as accurately and honestly as I can. Thanks for looking in on my sale. I am quite certain that the buyer will be happy with this purchase."